​The FIRE committee wants to hear from you. 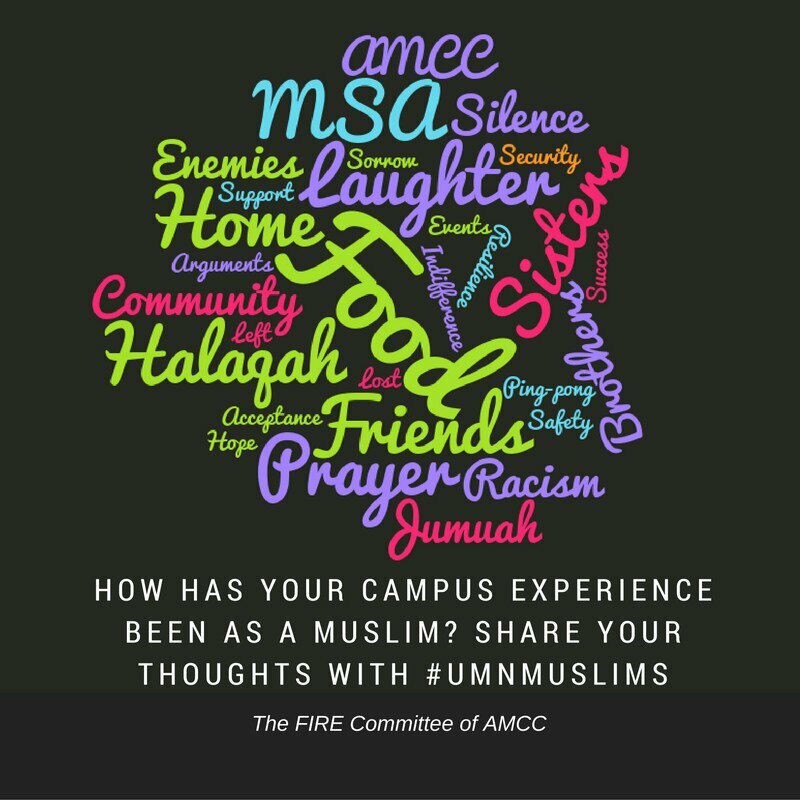 Use #UMNMuslims on social media, such as Twitter and Facebook, to inform us about the experiences you have had on campus as a Muslim student. These experiences can include both positive and negative ones within the Muslim and campus wide community. We will be holding a discussion about these experiences later on because we do not want the conversation to just stop at a hashtag. The FIRE committee wishes to provide support for the members of the community.